Have a positive tone. Being nice helps on social media. Sharing content that is relevant, informative, and interesting. It’s not about you. Engaged and Interactive with other followers. Sharing is caring. Looking for the right mix of content in your social media? I mentioned in a past Twitter post, The Holy Grail: Getting More Twitter Followers, that the key is knowing why you’re on Twitter and making sure you know what you want to share, hello P.O.S.T. Don’t forget the social media is about social connections, not about broadcasting your news. There is a right and wrong way to share your news. At the end of the day, there is no difference between social norms in person or online. It pays to be a good listener, be kind, and be informative. This week I was reading Shift Communication blog post, Good PR is a Force Multiplier and kept nodding throughout it. Christopher Penn, who wrote the article, highlights one of the most important principles behind PR and why it is critical now: PR helps get people to your company through increased awareness. Advertising does this as well, but PR placement is generally written by a third party and trusted. Think about your trade publications. Which would you rather send an article written about your products and clients or an ad? 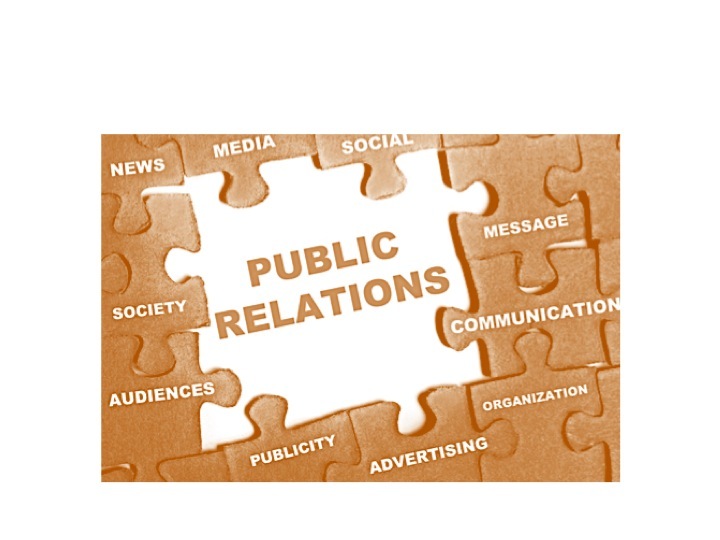 What are the ways you can leverage public relations in your marketing arsenal? Include earned media in your e-mail campaigns. If you are sending out newsletters or scheduled campaigns around webinars and events, add earned media to the mix. The biggest opportunity is to take the coverage that is already written by someone else and use it for promotional or other marketing efforts. Hello! It is already trusted and valued since it is coming from someone else. Extend the life of your media coverage by using earned media as your hub for content. Boom! There goes your reach by four times. Get your sales folks to send out media release and coverage in their correspondence to prospects. What better way to validate your products and services through trades publications and other writers writing about it! Share your media coverage on your blog, social media, and internal communication vehicles. Leverage your employees as brand ambassadors. Think sphere of influence. Take your media coverage and turn it into a playbook. For example, take each article and highlight the products and services that made the client successful. Fill it with additional tips and links back to your site. Clients want to hear from other clients, so why not giving them something tangible? And what’s better demand gen fodder than an playbook? Turn your media coverage piece into a blog series and further drill down on topics that were not covered in the original article. Read the Altimeter Group report, The Converged Media Imperative: How Brands Must Combine Paid, Owned & Earned Media from Altimeter Group Network on SlideShare. Take the media coverage piece and turn it into a video. You can interview the client or executive on camera and drill down on the selling points you want to highlight. Marketing is about persuasion. Why note highlight the media coverage in your other collateral? Put your media coverage articles on a jump drive for trade shows and events. Better yet you can create a whole landing page around it. I was talking with my team the other day and made a unique observation about my past communication roles: I am a corporate janitor. No seriously, read on. At first, they laugh. I mean who thinks of their role as a janitor? But think about this: In communications, you are either polishing a corporate message or cleaning up a mess. 1) We are behind the scenes. We are supporting teams or executives. Communicators are behind the scenes preparing talking points, writing responses, or preparing executives for interviews. Many folks think they can do this because “ who doesn’t know how to talk and write?” Anyone who has worked in corporate communications knows while you write and talk a lot, you actually have to be extremely collaborative with a variety of folks, politically savvy, and be able to multitasks. It is more than just writing and talking, it’s about doing all these things behind the scenes without notice. 2) We normally have a bag of tricks for any situation we come across. Communicators, at least organized ones, have templates, corporate themes/ trends written out, and other communication aides at their fingertips. Need a template to address a trend? I got it. I have files and notes on all types of topics just in case I need them. 3) We are the MacGyver of corporate America. We generally have to operate on very little notice and with few resources. Paperclip anyone? How many times have you been pulled into a conversation without context? Or perhaps on the 11th hour of a project? I have an award on my desk that says, “Things You Should Have Told ME Yesterday!” While the award was a funny ha ha, there is a lot of truth behind it. Generally speaking, communicators have to act with little information or details that folks sometime don’t think is important, but in reality are. 4) Sometimes we deal with the stinky stuff that no one else wanted to deal with. Normally, I see this with projects that get kicked down the road. Pass the buck, whatever idiom you like to use. Many times communicators have to deal with the things that other folks don’t want to address and it falls to you to address. And more often than not quickly. I am sure there are more observations, can you think of any? My point is communications folks do a lot that I don’t think always gets attributed to them. Like most support folks, their skills are seen as “expected” or “ordinary.” Like janitors, it takes a special person to do all of the above with a smile on their face. If you are in the role of communications, you are in it for the fun and the challenge. I just don’t think everyone thinks about how much work is involved. If you were watching the Twitterverse during the game, you noticed that there was a few clever ads that pocked fun at last night’s Super Bowl blackout. 1) Give your team space to make choices right or wrong. Last night proved that with quick action, the team was able to react and be on point. They knew their limits and took a risk that paid off handsomely. 2) No executive approval needed. At least from what the audience can see. There was no time to debate, or check with legal. Oreo trusted their team to make the right call and gave the creative license. 3) Real time = Real Engagement. That is what social media is all about. The team took advantage of this and the results were amazing. I don’t think the numbers are out yet on the campaign, but I can tell you if you aren’t thinking about Oreos this morning, you sure are hearing a whole lot about them now! From what I saw last night, everyone loved the creative, funny ad that made fun of a very unexpected event. Kudos to the team for their courage because let’s be honest it was a risk. It could have gone over like a lead balloon, but because the team was tapped into the audience it was a huge success. It was timely and relevant. Two huge factors that you must know in order to master the Twitter game. Who is Driving Your Social Media Bus? I don’t know about you, but in the many articles I read, I don’t see anything about who is managing the social media channels. I see plenty of articles on how to to use social media, but nothing on advice on how best to manage. So, here is my advice. Don’t forget about the human element to social media. I think there is a huge error in undervaluing the human element to social media. Any successful program needs a point person. As the communication point person at my company, I led our social media efforts during the foundation-building stage. I partnered with different groups cross-divisionally to find interesting industry nuggets in addition to sharing our “corporate news.” Key stakeholders included policy, sales, marketing, and senior leaders. However, your most important asset will be employees (your front-line brand ambassadors and have their ear to the ground to what is relevant). In other words, what people do you plan to use in order to implement your social media attack plan. Danger, Danger Will Robinson. Do not confuse people who want to review social media as collaborators. You need folks who are willing and able to roll up their sleeves and get involved. This is not a one-person show if you plan to be around for the next act. It must be a collaborative effort, but collaborative efforts can be challenging if everyone is not on the same page.